Nikkei first reported of much progressed negotiations that have now been concluded. StreetScooter is responsible for the production of the electric van while Yamato will be responsible for the refrigerated transport box. However, the truck bed will be waist high so that workers can load and unload cargo without having to enter the refrigerator-freezer compartment. 100 charge points are planned as well, as is further expansion. So the 500 vehicles are by no means the end of the story. The cooperation could be further expanded in the future as Yamato plans to aggressively convert its fleet of around 40,000 vehicles to electric drives. According to the Japanese business paper, Yamato would be the first large logistics company in Japan to rely on electric drives on a large scale. 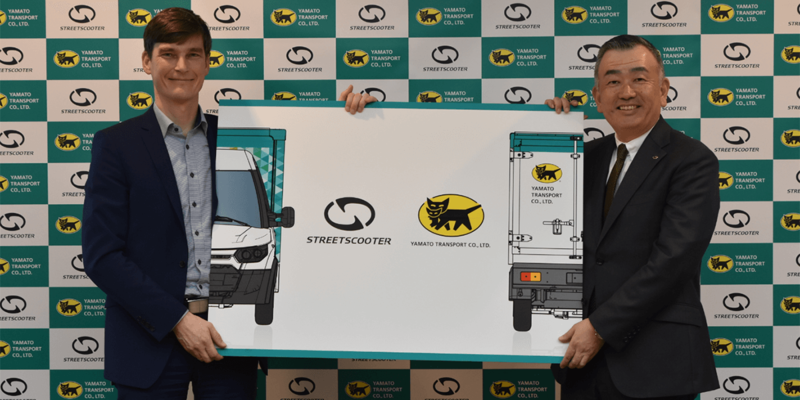 Update 27 March 2019: It has now officially been confirmed by Deutsche Post/ DHL: Yamato has ordered 500 electric transporters from StreetScooter. 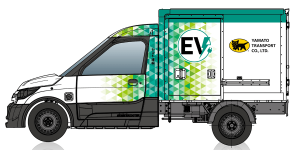 The electric vehicles, which are designed as right-hand drive vehicles, are to be delivered and put into operation before the end of fiscal 2019. This is the StreetScooter Work Pure, the basic version without bodywork. The vehicle suitcase, which is also suitable for refrigerated and frozen goods, will be mounted on the vans by the Japanese supplier Topre.